Creative studio co-working space seeking part-time makers, hackers, artists, writers and anyone else with a need to join us. Whether you are interested in a fun, bright, open space to work on your laptop during the day, or somewhere you can have to yourself now and then for photography, painting or other creative ventures, we’d like to hear from you. We’re flexible to meet the needs of the right people. 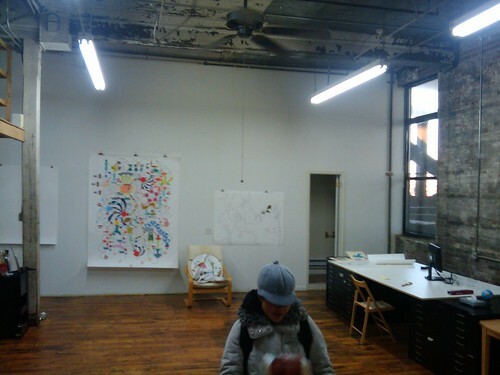 The studio is located in the heart of Gowanus, Brooklyn, on 9th Street between Smith and 2nd Ave in an artist and music centric four story converted warehouse. This is just two blocks from the R (4th Ave/9th), G and F trains (Smith/9th). We are dog and bike friendly with 24 hour access possibilities. The space is also right next to Lowe’s Hardware with access to a large freight elevator. Some other aspects of note: 32’x5′ worktable area with wifi, whiteboards, projector and natural lighting. 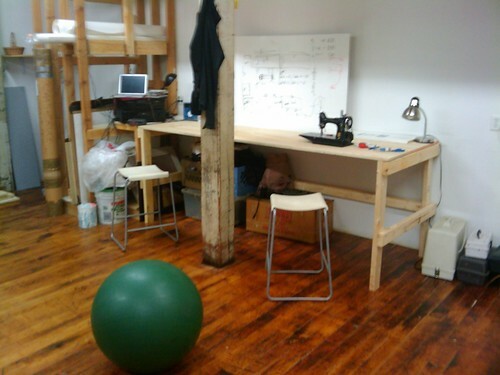 A variety of tools, two sewing machines, and a fairly open floor plan to accommodate a variety of wacky needs. Leave a comment here, send an email to nathanfreitas at gmail, or contact me via @nathanfreitas on twitter, if you are interested, want a tour, or more information! Its an informative topic. I am appreciating it very much! Looking forward to another great blog. Hey this is a great post. I amm going to email this to my buddies. I am very enjoyed for this blog. This article truly impressed me.